venus febriculosa» Blog Archive » the name of the rose winner! « nabokov online journal, yuri leving, ed. the name of the rose winner! 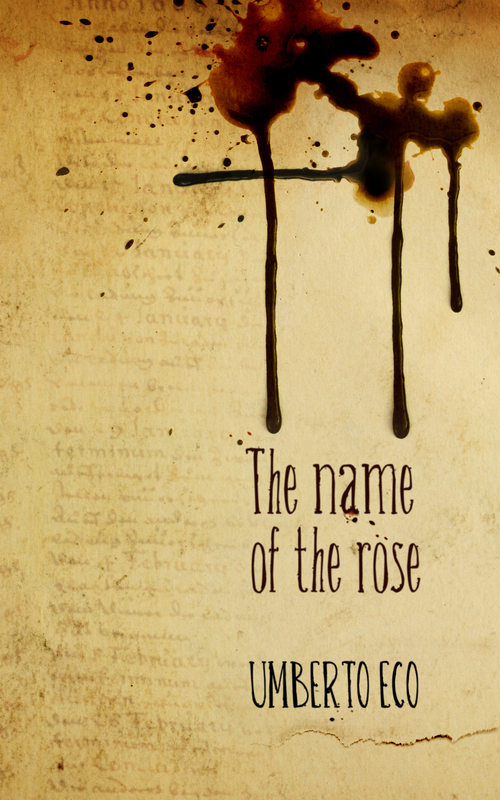 After what seems like ages, we are thrilled to announce the winner of The Name of the Rose Book Cover Contest. Turnout was remarkable, and we most sincerely thank all of those who participated and whose designs made this contest such a pleasure! In all there were 254 entries from 50 countries. Poland topped the list with 35 submissions followed by the US with 30 and the UK with 25. You can see the breakdown here. The fact that the overall quality of the covers was so high made judging extremely difficult to say the least, and so we must again stress that there is a degree of arbitrariness inherent in selecting a single winner from among so many excellent submissions. The diversity was extraordinary, and it was wonderful to see such a wealth of ideas expressed so brilliantly. If it were possible, we would have awarded a half-dozen or more first prizes. As it was, it was an excruciating process wherein we first selected our top fifty choices, which we then painstakingly narrowed down to fifteen, then five, and finally, to one. So without further ado, we’d like to congratulate our winner, Razvan Mitoiu of Ploiesti, Romania for his stunningly evocative cover! Communicating an almost overpowering dark primitivism, it succeeds because it is suggestive of so many things: ritual, mystery, violence. The dark dripping fluid (blood, poison, ink, wax?) is a wonderful Rorschach image: is it an occult, pagan, or alchemical symbol; the beginning letters of an interrupted word; a crucifix; or a purely accidental spill with no meaning whatsoever? The torn page, the faded text with the English words January and February clearly visible and repeated, the text that appears to be written by hand but on closer inspection is not; all of these little mysteries compound the sense of general unease. In short, we loved it and feel that it well represents the themes present in Eco’s remarkable novel. We will be highlighting some of our favorites over the next few day, but in the meantime you can see all of the entries here. This entry was posted on Thursday, April 29th, 2010 at 9:23 pm and is filed under Contests, Uncategorized. You can follow any responses to this entry through the RSS 2.0 feed. You can leave a response, or trackback from your own site.